I started the trip off with some dispersed camping near Bridgeport, CA on Thursday evening after a good few hours of driving from the Bay Area. It was easy and it was free. The views when I woke in the morning were incredible. Nothing beats that morning mountain glow, or waking up in a tent really. 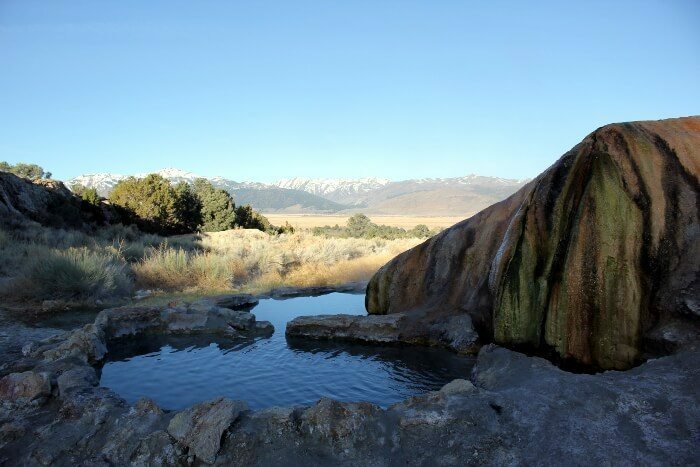 A quick dip at Travertine Hot Springs started off Day 1 in the Eastern Sierra, and then off I went to Mono Lake. First stop was the Black Point Fissures, slot-like canyons formed from volcanic activity. 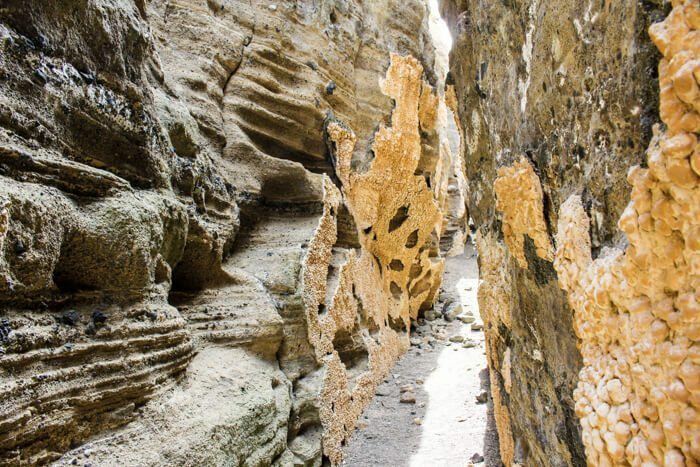 Check out the bubbly lava lining the walls, or just escape from the heat. 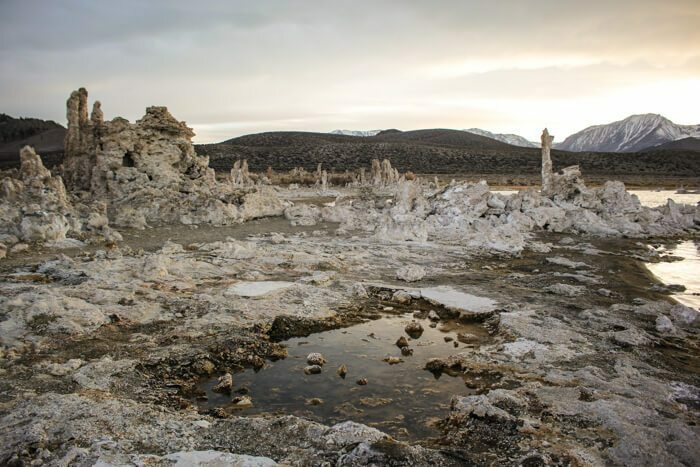 After the fissures, drive south to the South Tufa, the defining calcareous towers of Mono Lake. These structures will make you feel like you’re on another planet. When the day is done, drive east on Highway 120 into the Jeffrey pine forest. 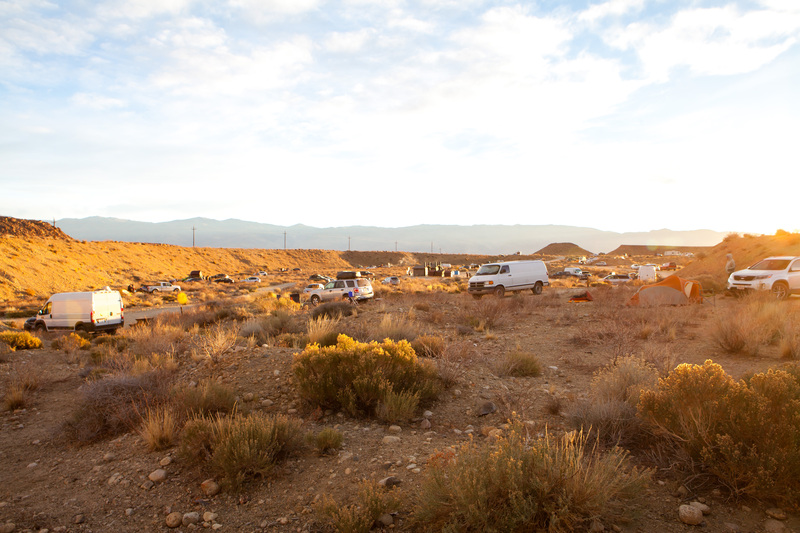 There’s plenty of dispersed camping to be had, and you won’t see another soul around you. If you’ve an off-road worthy vehicle, you can drive around Mono Lake and camp above the 1941 shoreline. 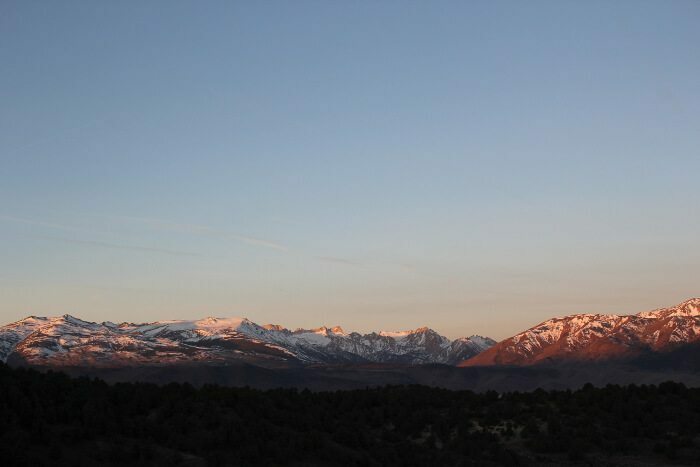 Head south to Mammoth Lakes where you can stop in and drink some darn good coffee from Black Velvet Coffee. Swing by Stellar Brew and Deli if you’re craving an açai bowl or some good vegetarian food, and then keep driving south. 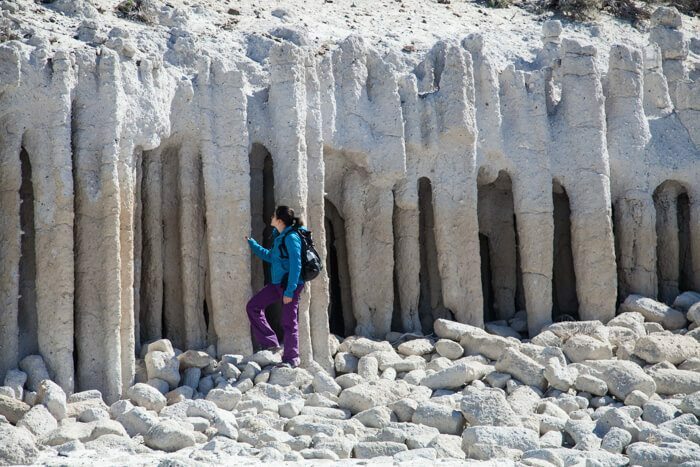 You’ll need an off-road capable vehicle to get to the Crowley Lake columns. They’re one of the most underrated sights in the Mammoth Lakes area. Walk the eastern end of the lake and marvel at these spectacular columns. If you’re out there, bring a few garbage bags. The folks who party in the area aren’t great at cleaning up after themselves. 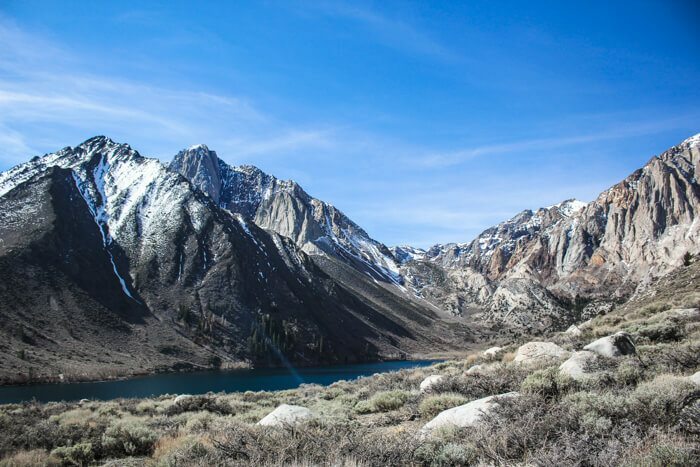 Convict Lake is a popular Eastern Sierra destination with great fishing and a resort that’s open year-round. If you’re short on time, take an easy 3 mile loop around the lake. Otherwise, hike up into Convict Canyon to access the Eastern Sierra backcountry; you kind of lose the trail, but it is absolutely worth it. If you can grab a permit—they’re pretty easy to get—consider spending a night out by Mildred Lake or beyond. You won’t regret it. Camping is available at the Convict Lake Campground or find some dispersed camping off of 395. Bishop is just 45 minutes south of Mammoth. Start your day at Black Sheep Coffee Roasters; this coffee shop is a rock climber’s home away from the crag. Their breakfast burritos are great for grab-n-go. If time isn’t of the essence, the Great Basin Bakery has all the baked goods and sandwiches you could ever want. Get the rosemary shortbread. Bishop is an all star destination for climbing, but if that’s not your thing or you’re taking a rest day, the Tablelands have more to offer than just sharp, prime lines. 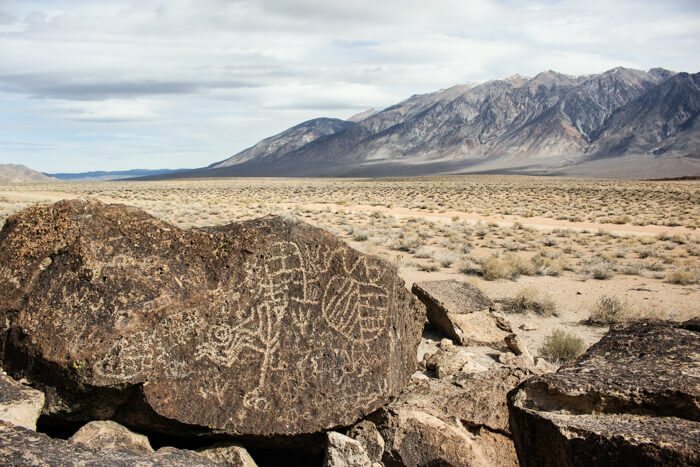 The Volcanic Tablelands are just north of Bishop and are full of neat rock formations and petroglyphs from the ancestors of the Paiute-Shoshone people. Armed with an off-road-worthy vehicle, you can spend an entire day getting lost here. Interested in the indigenous people in the area? Stop by the Paiute Cultural Center in town and learn about their history and culture. You won’t regret it. 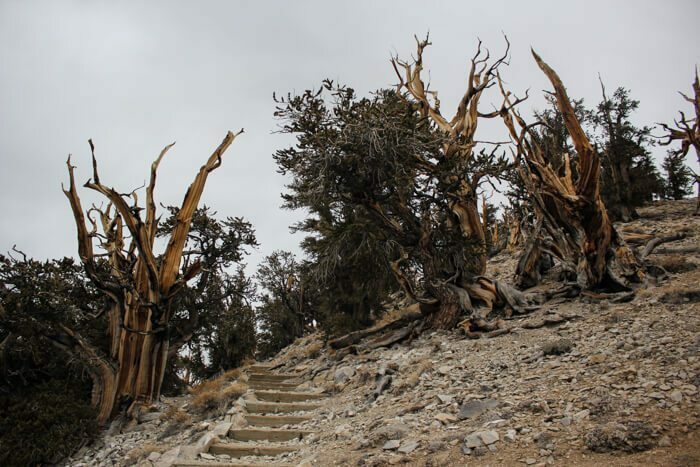 The Ancient Bristlecone Pine Forest is south of Bishop, outside of Big Pine. The road up is twisty and gains rapidly in elevation, but you’re rewarded with fantastic views. Enjoy the drive and the view or take it up a notch and do some hiking near some of the oldest trees in the world. If the road is open, bag White Mountain and get yourself a California 14er. In the evening, stop by the Mountain Rambler Brewery for brews and the Bishop Burger Barn for burgers. Camp at the Pit Campground by the Volcanic Tablelands. It’s only $2/night and filled with some of the most interesting climbers you’ll ever meet. If you choose to stay near the Ancient Bristlecone Pine Forest, the Grandview Campground lives up to its name. If you don’t feel like camping, the Hostel California has excellent budget accommodations. For weekend warriors, all fun time must come to an end. 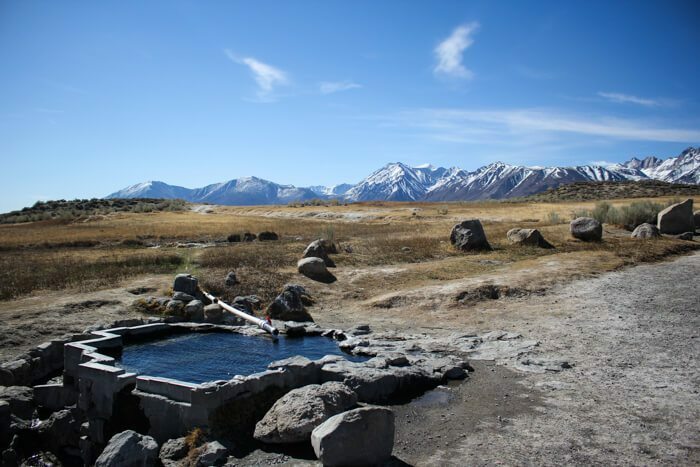 I ended my road trip by stopping by some hot springs in the Mammoth Lakes area on the drive north. If you’ve got more time to kill and want to head further south along 395. 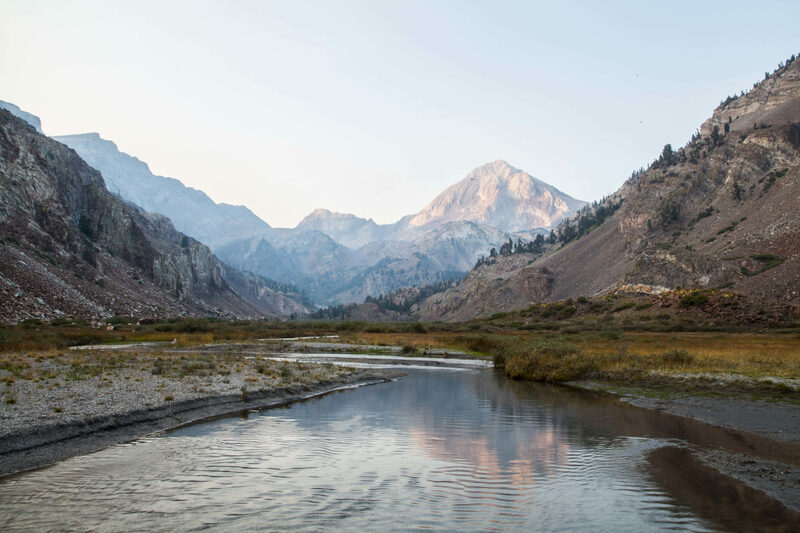 Hike the North Fork of Big Pine Creek. Hunt down the Mobius Arch. Try your hand at a permit to summit Mt. Whitney, the highest point in the lower 48 states—permits are required to enter the Whitney Zone. Visit Devils Postpile National Monument to see some spectacular basalt columns. 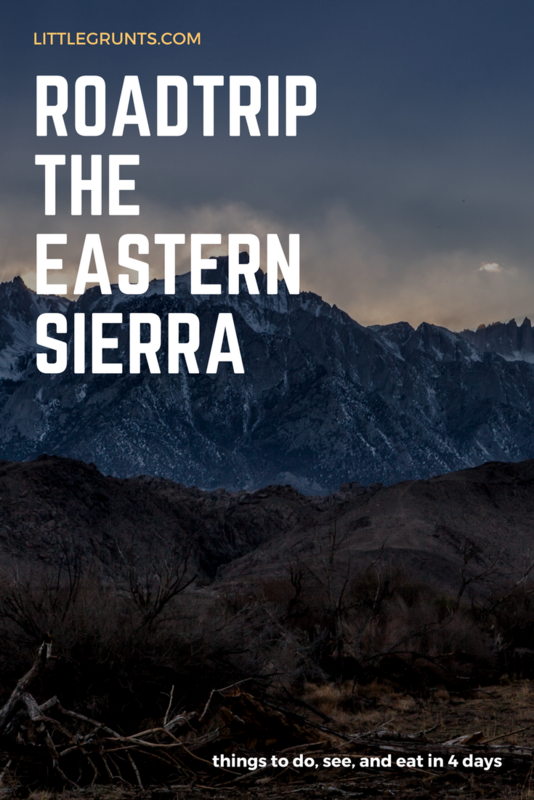 Have you been to the Eastern Sierra? What are your picks for an Eastern Sierra roadtrip?